Dr. Dawn Marie Baletka has over two decades of experience as a national consultant designing, writing, implementing and managing grant programs. She has extensive interdisciplinary/cross-sector experience, holding degrees from Texas A&M University and Sam Houston State University. Dawn Marie has earned credentials with the Grant Professionals Certification Institute as a certified grant professional (GPC) and is also a licensed professional counselor (LPC). A popular speaker and professional development trainer from the national to the state levels, she couples her strategic thinking skills with her ability to facilitate the collaborative planning efforts that underscore successful proposals. Her open concept problem-solving abilities have guided numerous organizations nationwide in their efforts to maximize funding streams and improve programmatic capacity. Areas of Dawn Marie’s expertise include community and public health, renewable natural energy, and K-12 education. 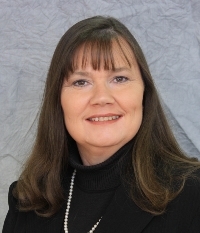 Dawn Marie has focused her career on helping organizations succeed in reaching their identified goals and objectives.